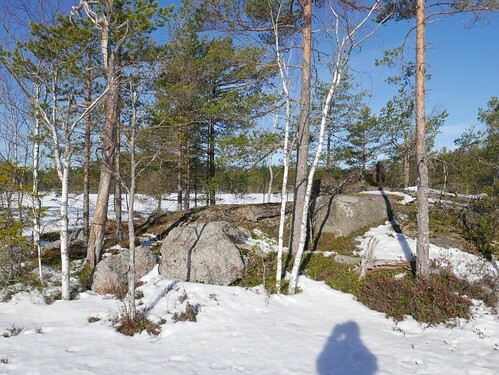 The photograph was taken at Slätmossen swamp in Meiko on March 31st. I commuted by bicycle today, using the new back wheel with a Nexus 8 gear hub (SG-C6001). It turned out that the old twist shifter is not compatible with the new version of Nexus 8 gear hub: gears 1 and 8 did not engage properly. When I got home, I installed the new twist shifter which came with the wheel, and now everything seems to work properly. I'm very pleased with Taylor Wheels for packaging all necessary components together with the wheel. So far this year I have got 1,546 km riding the bicycle.